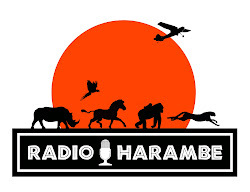 On this week’s episode we visit Africa as we talk to JamboEveryone.com corespondent Aruna Mohan from South Africa. She tells about her time spent in the “Real Africa” photographing animals and some of the stories that go along with a typical safari. Dave and Safari Mike also discuss the news from Disney’s Animal Kingdom, including more construction, something called “Morpho”, and a documentary starring Joe Rohde. There is also lots of news from rest of Walt Disney World and even a little Indiana Jones discussion.